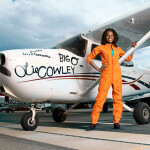 MEET KIMBERLY ANYADIKE, THE FIRST NIGERIAN TEEN PILOT TO SET AN AVIATION RECORD. 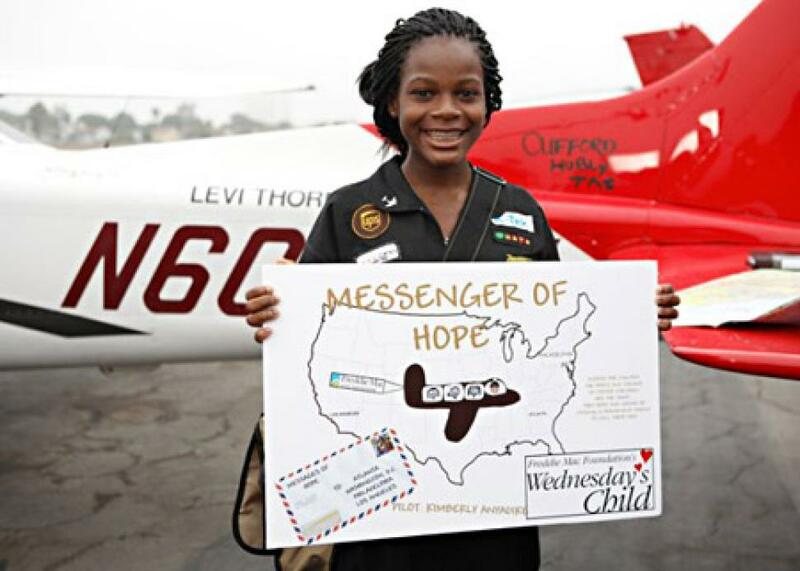 Born into a Nigerian family, in Los Angeles United States of America in 1994, Kimberly had dreamt of flying a plan and becoming a cardiovascular surgeon after her college education. Sweet and polite Kimberly has been able to make herself, family and Nigeria proud by flying across the United States at only age 15. Her zeal and determination has given a place in the Guinness book of records and earned her global recognition. Brave and determined Kimberly did something out of the ordinary, a thing most of her peers wouldn’t have been able to do, flying a single-engine Cessna cross-country from Compton, California to Newport News, Virginia with very little technical help form safety pilot Ronnell Norman and a certified commercial pilot. Kimberly had determinedly paid her way through the lessons working several regular jobs. She was reported to have washed airplanes as well as done other errands to earn what was called, ‘museum dollars,’ which she traded in for flight lessons. All this she did while still focused on achieving her dream of flying. She maintained an outstanding academic record during this period which was a criteria for remaining on the programme. She took lessons and training from the Compton-based Tomorrow’s Aeronautical Museum (TAM) ran by Tuskegee Airmen Foundation, a foundation. She was able to learn all of the possible things needed to enable this success journey. While growing up, she had the opportunity of engaging in activities such as junior lifeguard at Venice Beach, interest in dancing and attended the Lula Washington. Dance Academy, charity works, an active church member enabling her piano, guitar and violin lessons. Kimberly Anyadike is such an Inspiration to teens and adolescents in Nigeria and across the globe. Keep up the good work and Congratulations to Kimberly Anyadike; the EMEDITH Adolescent of the Month for August!